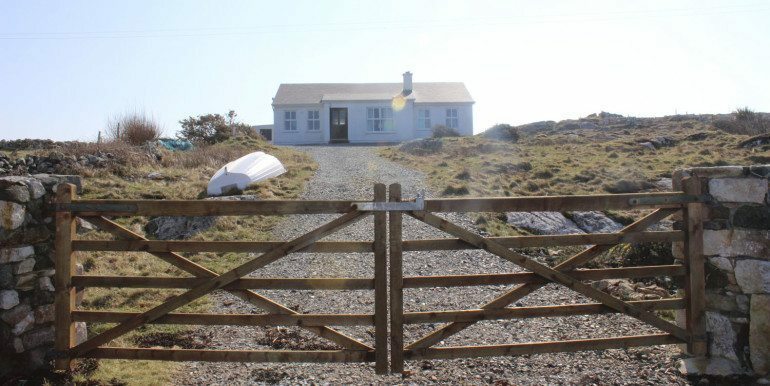 Polrevagh Cottage is a detached bungalow set in the most peaceful and quiet location of Dun Loughlin, Ballyconneely, Connemara overlooking the Atlantic Ocean with sea and mountain views. 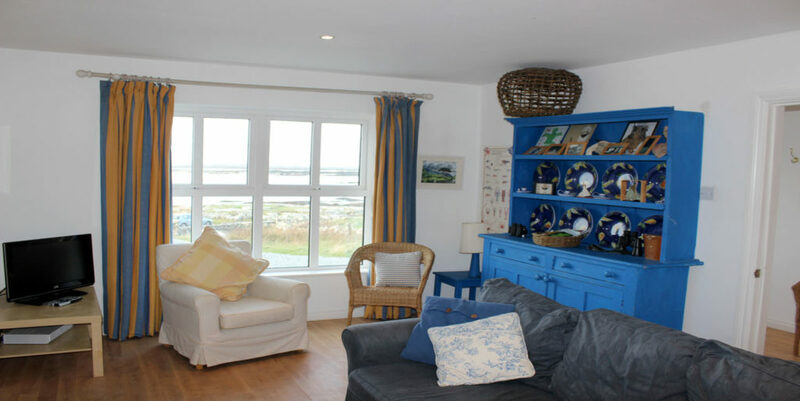 Less than 50m from this delightful holiday home is a rocky shoreline where one can bring their fishing rods, catch your dinner directly in front of the house – set up the BBQ, enjoy a glass of wine and watch the sunset over the Wild Atlantic Way – pure bliss. Polrevagh Cottage is the perfect holiday home, it will tick all your boxes – only 50 m from the rocky shoreline along the Wild Atlantic Way, white sandy beaches less than 15 minutes walk, spectacular water and mountain views, free internet service, open fireplace, pet friendly with fully enclosed garden and private off road parking. 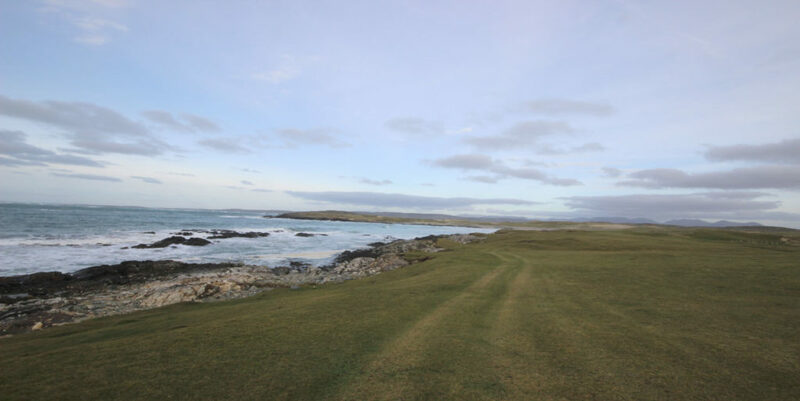 Connemara Championship Golf Course is less than 5 minutes drive from the property. 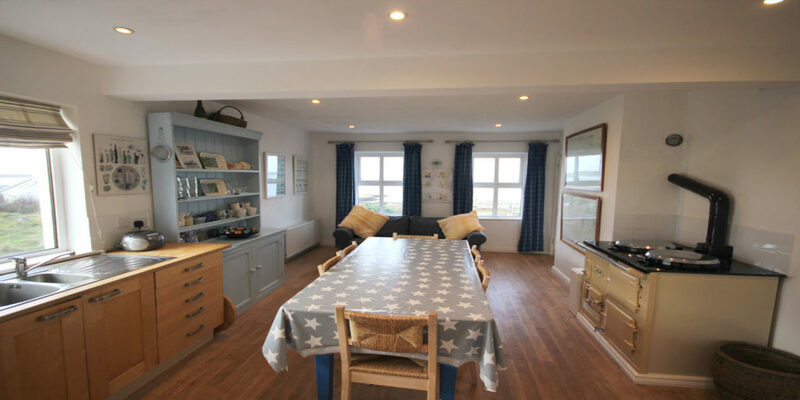 The cottage itself is a detached bungalow, comfortable, three bedroom holiday home (sleeping 6) with magnificent views overlooking a quiet and sheltered bay with views of an uninhabited island. 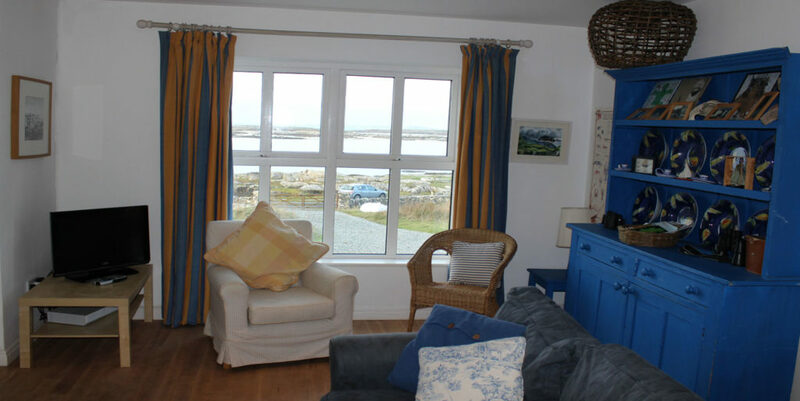 Watch the ebb and flow of the tide, the birdlife and grazing ponies and cattle from the comfort of your armchair. 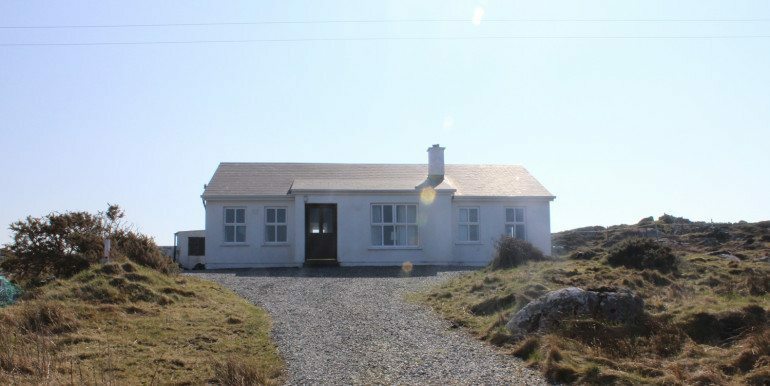 This holiday home is set in a quiet peaceful part of Connemara surrounded by spectacular rugged views over the Atlantic Ocean only 4 miles from Ballyconneely Village and 8 miles from Clifden town centre the Capital of Connemara all along the famous Wild Atlantic Way. 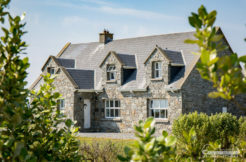 Situated in the heart of Connemara between, Clifden and Roundstone. 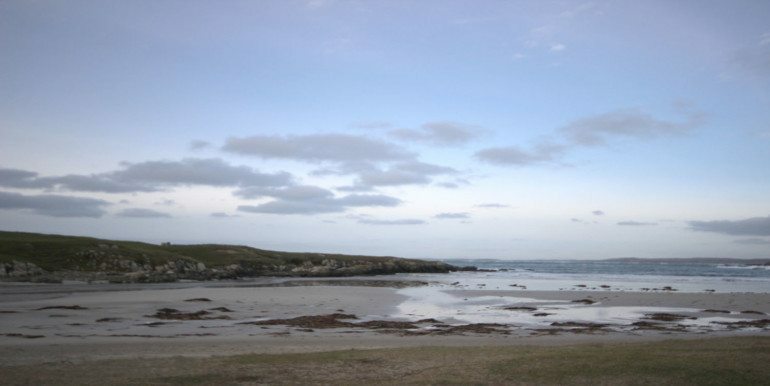 Bustling Clifden hosts excellent restaurants offering varied styles of cooking and many pubs with nightly entertainment. Whereas Roundstone is a quaint fishing village with fabulous restaurants, bars, stunning white sandy beaches. The cottage makes a great touring base for the West of Ireland, where you can explore all that Connemara has to offer and Galway city is just over an hour away. Connemara is ideal to explore on a bicycle and at low tide there are plenty of walks over the the islands. 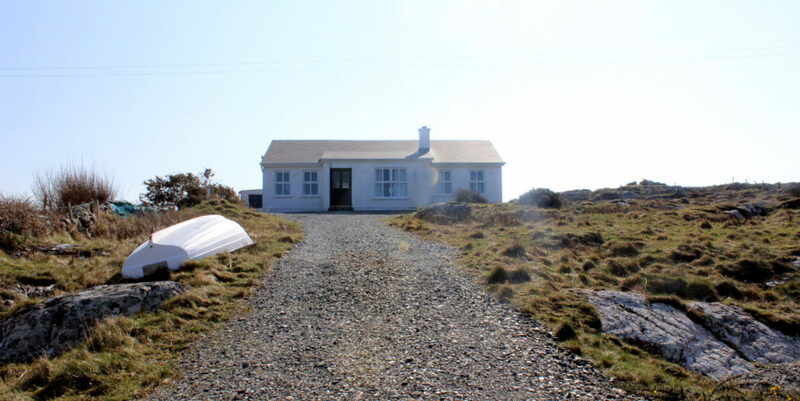 Lots of fishing, both sea and fly for trout is available in the many hill loughs and on the local rivers, Balinahinch river and famous hotel are within 15 miles. 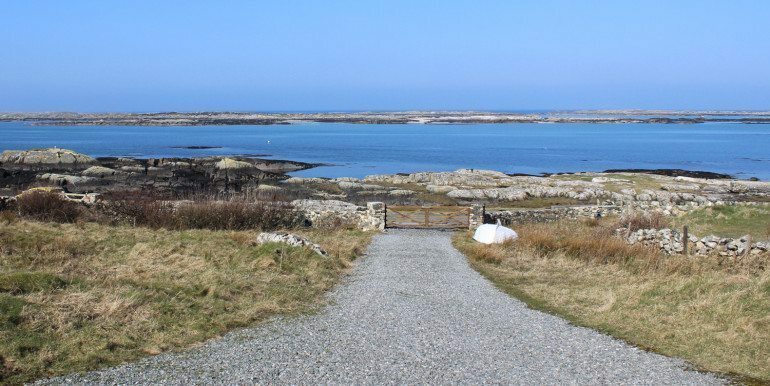 Wild flowers abound in the Spring and Summer and the shallow bay is ideal and safe for swimming. 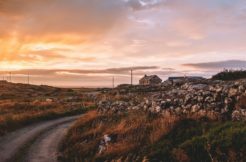 The Connemara Coastline is well worth exploring as well as the Connemara National Park and Roundstone Bog. 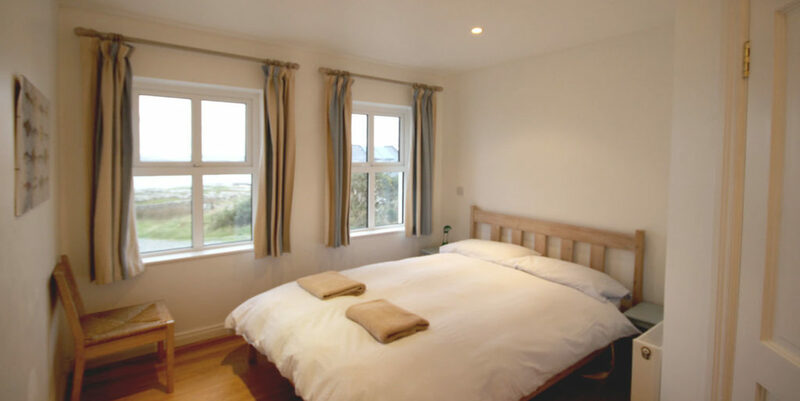 Clifden has excellent local facilities, shops, bicycle hire and galleries many of the restaurants offer local seafood as well as many other international dishes and most very child friendly. There are many sociable pubs with traditional music. Even on wet days this area is beautiful with waterfalls and lovely walks and places to eat. 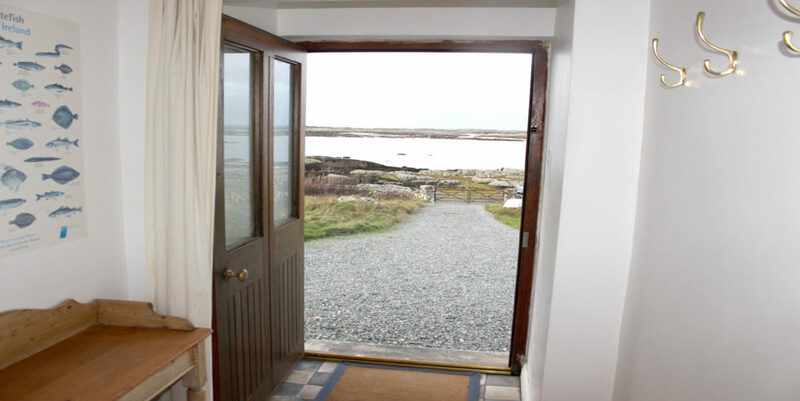 Visit beautiful Dog’s and Gurteen Bays at Roundstone and the pretty harbour, or head north to Kylemore Abbey and the loch Inagh Drive. 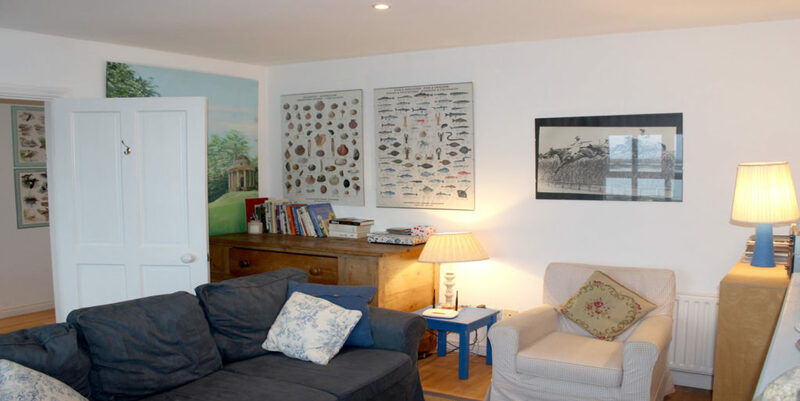 With many annual events such as the famous Connemara pony show, the Roundstone Bog bicycle ride and the Roundstone Regatta, Ballyconeely and Omey pony racing, to name a few. 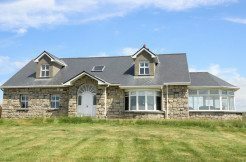 Walking from the front door; fishing, lake and sea – on the door step; golf and horse riding 3 miles; traditional music, childrens playground, shop, pub, pony racing in Ballyconeely 4 miles; cinema, swimmning Clifden 8miles; hill walking 6 miles; pony racing Omey 10miles. Walking on site. Fishing – Sea 0.01 miles. Fishing – Lake .5 miles. 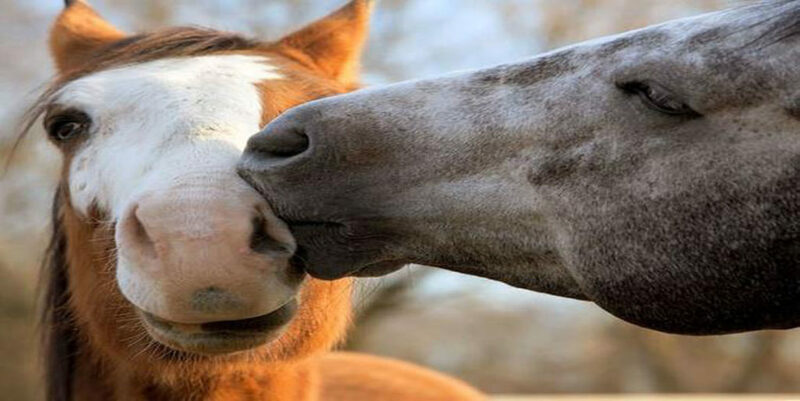 Horse riding, Golf 3 miles. Traditional Music 4 miles. 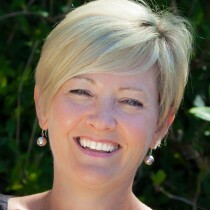 Walking – Hill 6 miles. 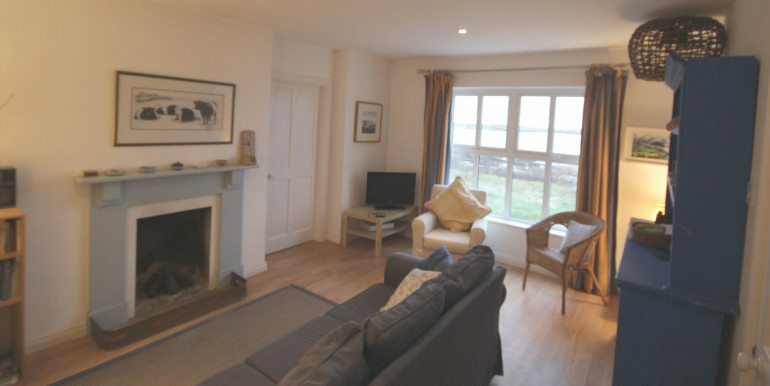 Swimming Pool, Cinema, Childrens Playground 8 miles. Open plan kitchen and dining area. 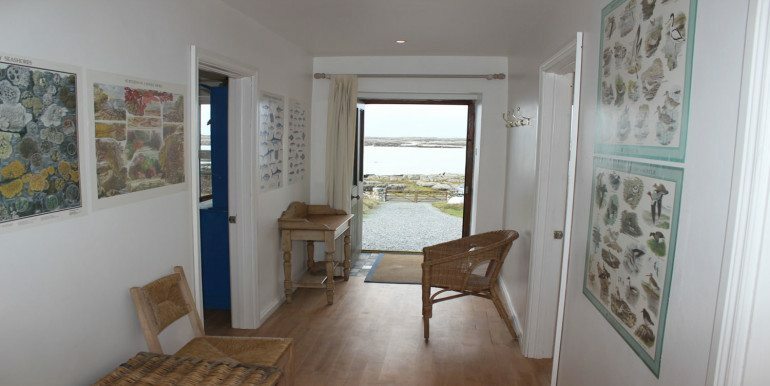 Fabulous views over land and sea where 3 large windows allow ample natural light. 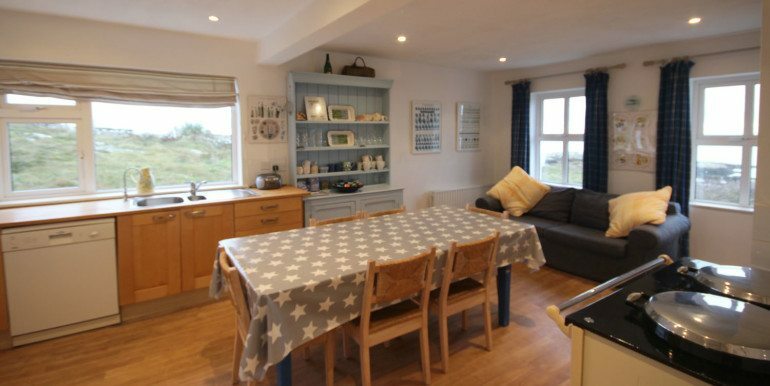 Cosy kitchen fully equipped, dishwasher, microwave, electric cooker, dining table seating 6. 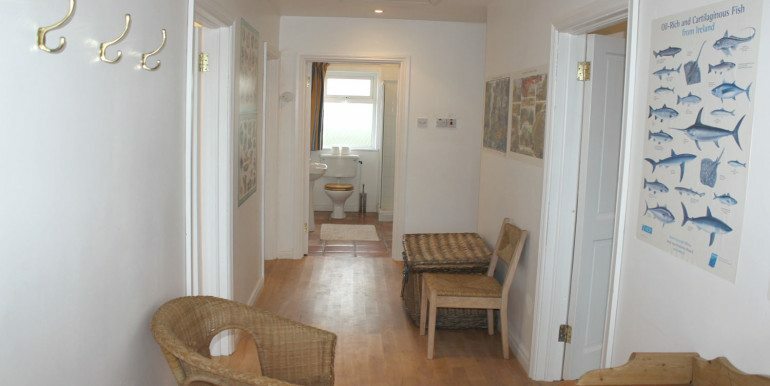 Door leading to utility room with washing machine. Double bedroom – Master bedroom with double bed, large window overlooking the front of the house with spectacular views over the Atlantic Ocean. 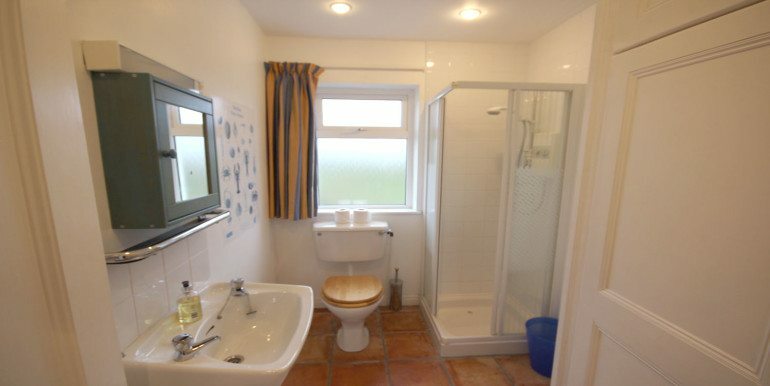 Ensuite shower room. 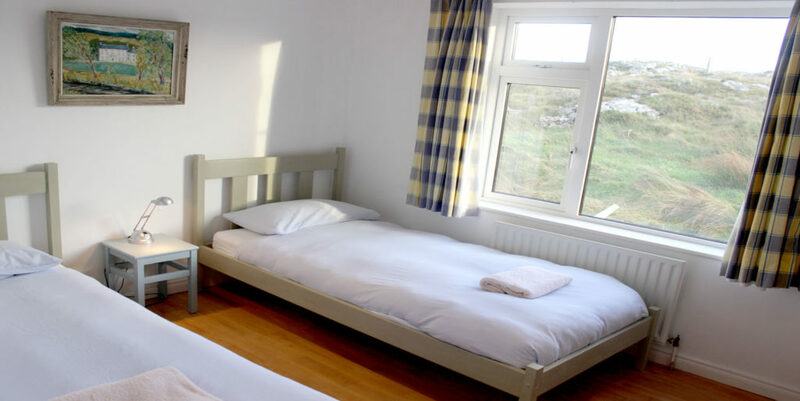 Double bedroom – with bunk beds, window to the side of the house. Double bedroom – with twin beds, window to the back of the house. 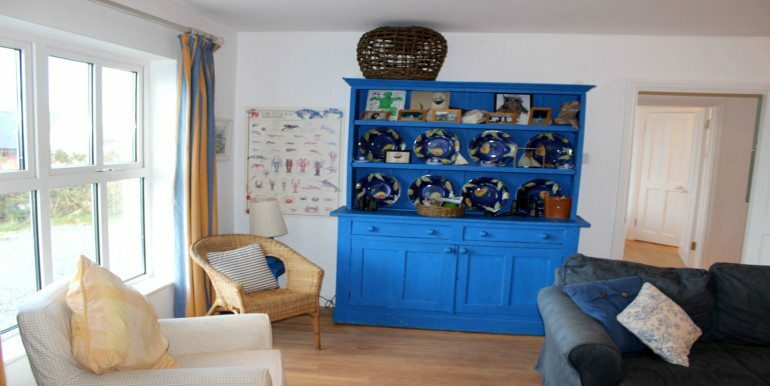 Fitted wardrobes. Ample car parking space to the front of the house. Gated entrance to the property. 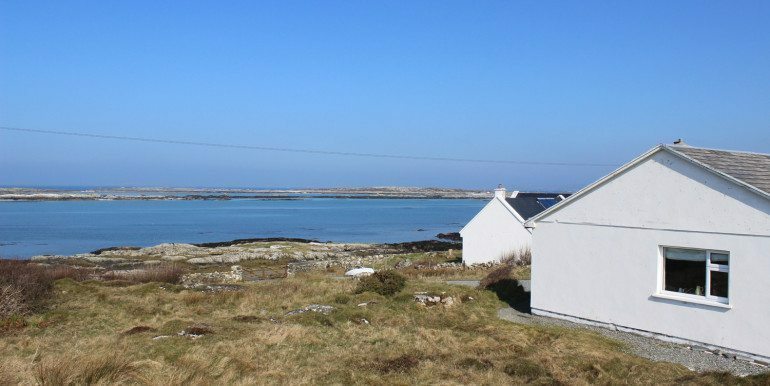 The electricity is charged at €5 per day.